LOFT is known for their great stylish pieces, that is the reason I am the proud owner of a LOFT store card. With this LOFT Lara Platform Espadrille, you can see the layering of color-blocked jute wrapped heel, dual canvas straps on the vamp trimmed in leather as well as a leather ankle strap and the touch of burlap at the heel which give this 4" with 1" platform wedge an understated chic look. Not a fan of the black? 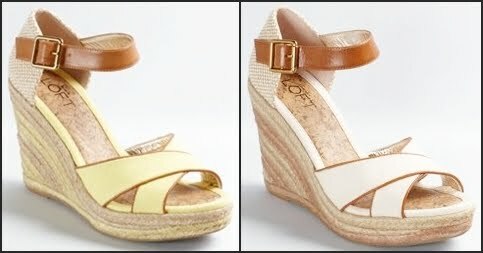 The Lara Platform Espadrille also comes in pale citron and antique white. Want to get your hands on a pair? Well for a limited time, you can get this style at 25% off its original price. Happy Shoe Shopping.